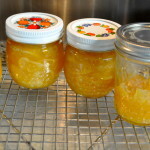 (This is a refreshed post I first published last year, but I added a few new faves.) We’ve had some MUCH needed rain the past few days, but I found a break in the clouds yesterday and took a walk with Mia. Here’s our take on the best of Sonoma. This is the bike path, which I love. 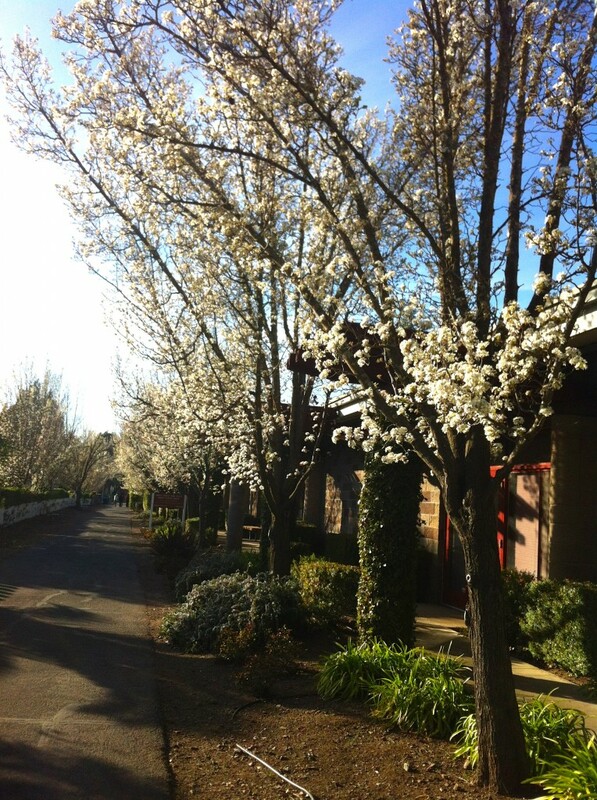 Every day it is dotted with people of all ages walking, riding their bikes, playing volleyball or bocce ball, picnicking or just relaxing on a blanket with a bottle of wine (hopefully it’s our Trueheart Petite Sirah) . You can access the path from different places, but I usually park my car on Second Street East, just north of Spain Street. Before you set off on your walk, be sure to stop and admire the majestic, famous Castagnasso Clydesdales at Mission Bell Farms on the corner of Second and Spain. Another must-see is the Vella Cheese Shop, located near the entrance to the path. The stone-walled building was built in 1904, and it now houses some award-winning cheeses (the special select Dry Jack is my favorite) . 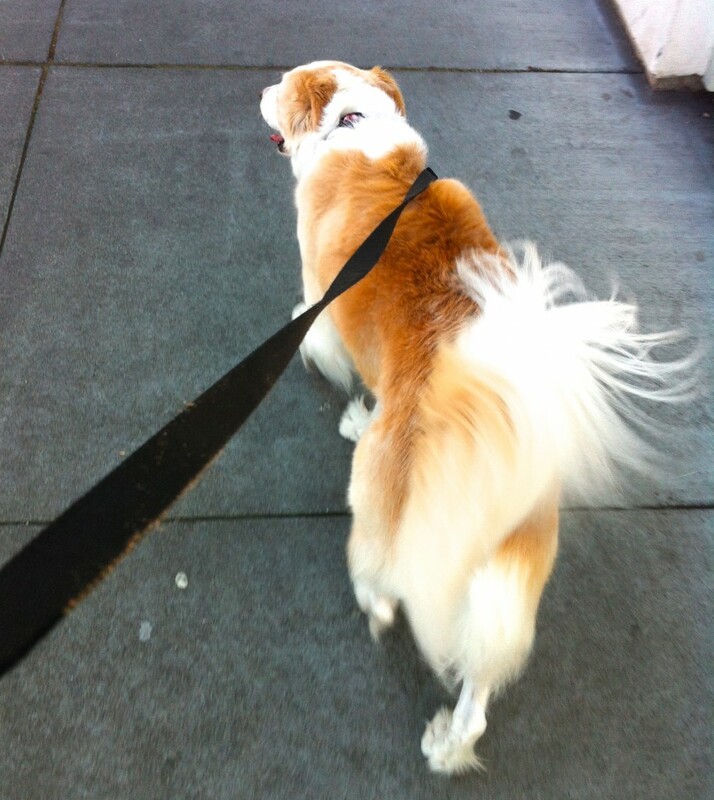 I put Mia on the leash and we’re off. When I want a light, airy, but crisp and delicious waffle with real maple syrup, or a perfect latte, or a warm and wonderful bowl of soup, or a big salad (did you see this episode of Seinfeld where Elaine wants her Big Salad? 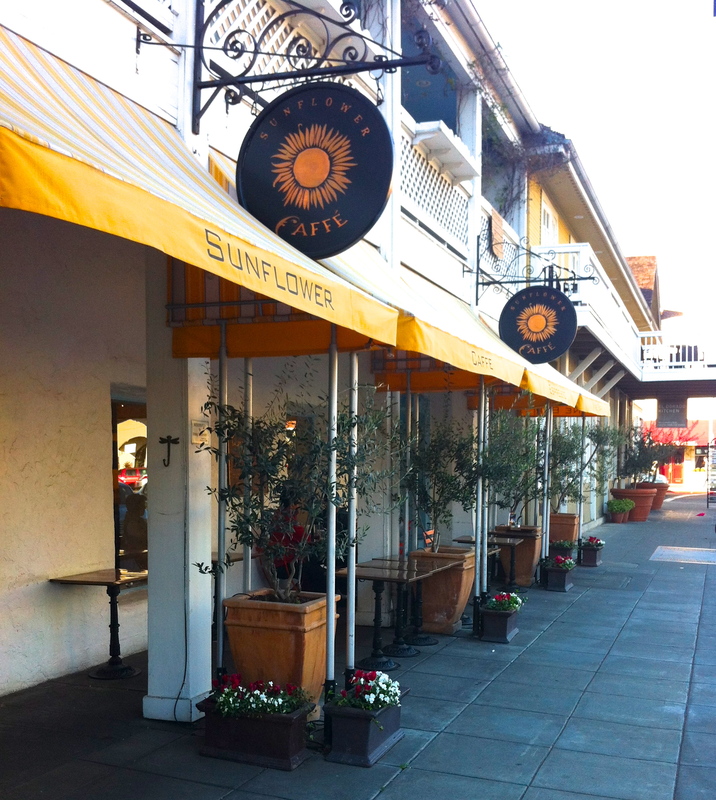 ), I head to Sunflower Cafe. You can bring your dog, as long as you sit in the sidewalk seating area. I am so crazy about this place’s salad dressing, I beg the chef for recipe every time I stop in, but to no avail. My newest passion on their lunch menu is the Tropical Shrimp & Avocado salad. Crazy. Good. 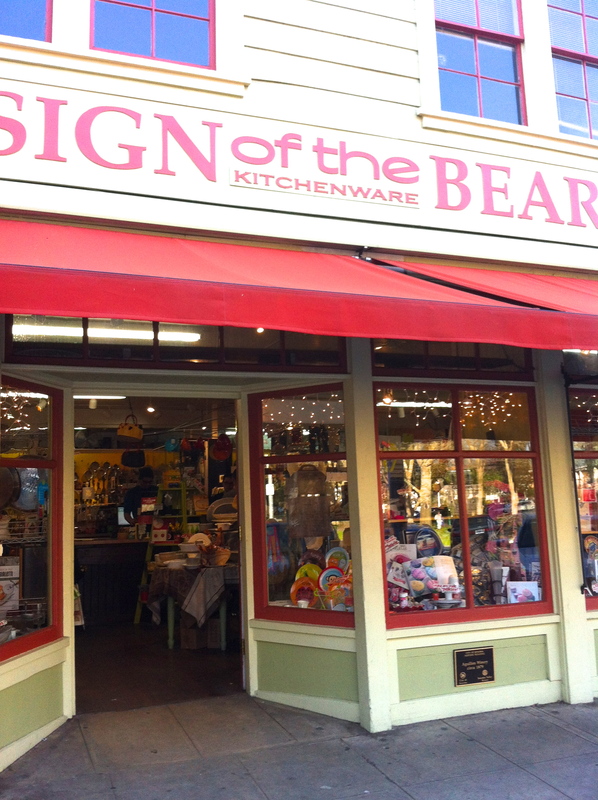 It always shocks me that such a small town like ours can sustain such a huge, terrific kitchen store like Sign of the Bear. 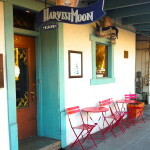 It has EVERYTHING you could ever dream of, and the friendliest and most educated staff to help. We broke our old Krups coffee maker a few weeks ago and my husband went to Sign of the Bear and came home with a new Capresso brand maker. A total coffee snob (due to my Italian heritage and a year of living in Bologna, Italy during college) I just was not happy with what the new machine was churning out. We went back to the store, and the manager first made it very clear that we could exchange or return the new machine, but first talked with us for at least 40 minutes, giving us a Cliff-notes version of a Master’s degree in the dark brew and how it should be made. We made the recommended adjustment, (use a paper filter instead of the metal filter it came with) and I am back to going to bed and dreaming about my morning coffee. The rumor is that Williams-Sonoma will be (re-)opening a store, cafe and cooking school back in their original location at 601 Broadway. If that happens, I hope Sign of the Bear continues to thrive. 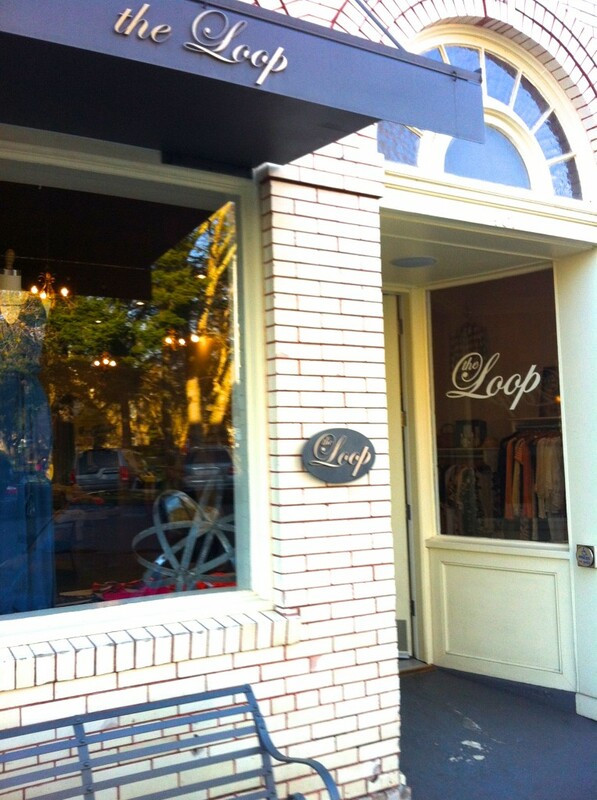 The Loop is my favorite place to shop in Sonoma. Great jeans, tops, sweaters, jewelry and scarves. In addition to buying my own clothes here, we buy countless gifts. Ask for Andrea or Joene! 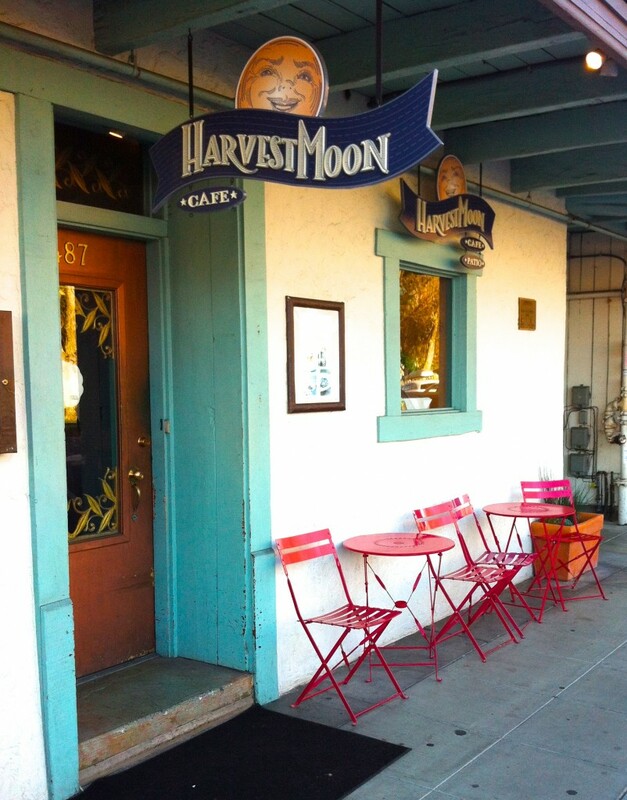 Anyone who reads this blog knows that Harvest Moon Cafe is our go-to spot. 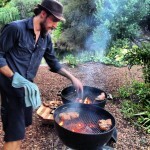 Chef Nick is relentlessly creative and you rarely see the same exact dish twice, which is big for locals like us. And, his food is unexpected – another trick for this area. A recent appetizer? Hawaiian Ahi tuna carpaccio with marinated beets, avocado, jalapeño, pea shoots, mint, sesame seeds and lemon. ‘Nuff said. 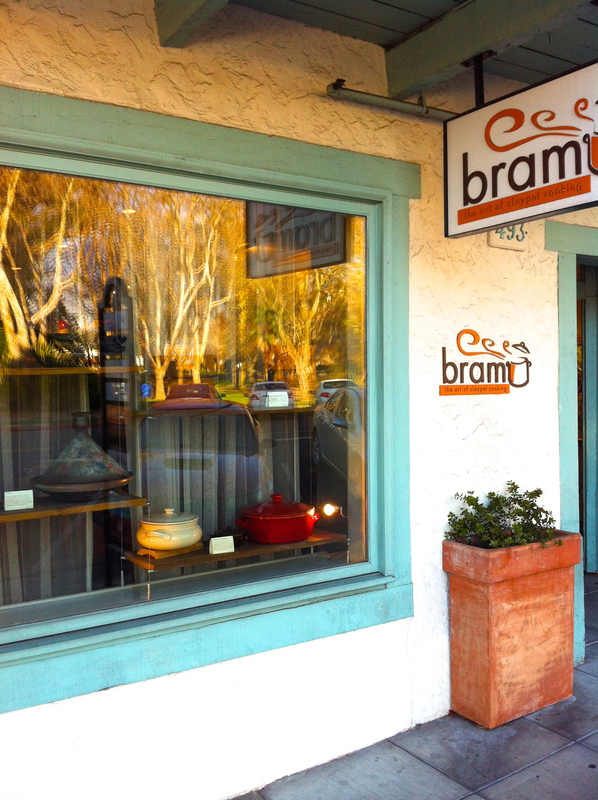 Bram is an unusual gem of a little store. It sells claypot cookware from all around the world, as well as the best cookbooks, with an emphasis on foods from the Middle East. Hope you enjoyed a tour of my Sonoma. Mia and I are heading home. What did I miss? 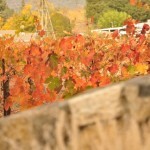 Tell me your Sonoma stories! Some links from the World Wide Web I hope you enjoy. Patterns in the sky created by starlings in flight. “If you believe in yourself, you think what you’ve done is all right. and then other people might thing it’s all right too.” Meet Lorde, a 17 year-0ld creative powerhouse I first noticed on the Grammy’s. Little girl directing a choir.